Hearing the crisp sound of the system notification, Shi Feng let out a deep sigh of relief. He was supposed to challenge the Holy City of t.i.tan's entrance trial in three days. If his Attributes had decreased any further, he would have to wait until he had fully recovered from the Weakened Soul state before he could do so. He did not wish to miss out on this opportunity to visit the Holy City of t.i.tan. With 50 slots to enter the Holy City, he could get quite a number of Intermediate Alchemists and Intermediate Forgers promoted to Advanced rank. If he let this opportunity slip by, who knew how much time and resources he would have to expend to nurture so many Advanced Lifestyle cla.s.ses? Moreover, with these new Advanced cla.s.ses, he could greatly increase the production volumes of Strengthening Devices and Ice and Fire Resistance items. In the current G.o.d's Domain, the importance of Lifestyle players was increasing by the day. For example, large Guilds such as first-rate Guilds initially nurtured their own Lifestyle players. Now, however, in order to increase their compet.i.tiveness, these Guilds had now begun to recruit Lifestyle players as well. Moreover, the conditions they offered were exceedingly munificent. Currently, even ordinary Lifestyle players received benefits equivalent to those of Guild elite members. If their standard was sufficiently high, they could even receive a core member's treatment. This situation was something unimaginable a few weeks ago. As a result, players who originally intended to rely on field combat to get by in G.o.d's Domain had started considering switching careers and becoming a pure Lifestyle player, instead. After all, playing a Lifestyle cla.s.s had its own benefits. Only, the status of Lifestyle players was not particularly high previously, and the treatment they received had only been subpar at best. Hence, most players would generally choose to fight monsters. Now that the situation had changed, players who did not excel at combat were exploring various Lifestyle cla.s.ses. With the large influx of Lifestyle players into the market, the compet.i.tion between Lifestyle players had intensified further. The number of Advanced Lifestyle players was also much higher than before. If not for the Candlelight Trading Firm having a ma.s.sive advantage like the Special Workshop, which allowed it to attract and nurture plenty of talents, the trading firm would not have been able to maintain its position as Star-Moon Kingdom's number one trading firm. Although Shi Feng had long since antic.i.p.ated this situation, he had never imagined that it would happen so quickly. Without the advantages the Candlelight Trading Firm had acc.u.mulated before, as well as its possession of popular and exclusive products, the trading firms run by other large Guilds would have surpa.s.sed it already. Based on Melancholic Smile's latest report, the Heavenly Trading Firm opened by Heaven's Burial was growing the quickest. In just a short dozen days or so, Heavenly Trading Firm had become one of Star-Moon Kingdom's Six Major Trading Firms. Recently, it even surpa.s.sed Overwhelming Smile's Overwhelming Trading Firm to become the second largest trading firm in Star-Moon Kingdom. It was also precisely because of this demotion that Youlan was in such a hurry to enter t.i.tan City. After all, when judging the strength of a trading firm, aside from products and traffic, the crucial factor would still have to be the number of Advanced Lifestyle players it had. "Not bad. Now that you have basic control over the Soul Fire, you should have a much easier time searching for that person," Sharlyn said as she walked over to Shi Feng. After thoroughly sizing him up, she nodded and added, "Unfortunately, with just basic control over the Soul Fire, you can only weaken the effects of the Soul Chain slightly. At your current state, you have roughly 54 days to find that person. However, as your control over the Soul Fire improves, the weakening effect it will have over the Soul Chain will also increase, and you'll gain more time to find that person." "How can I improve my control over the Soul Fire?" Shi Feng asked curiously. Although he could tell that he had only basic control over the Soul Fire and hence still had room for improvement, the Soul Fire's introduction made no mention of how he could improve his control. "Simple, look for other Mysterious Flames and absorb them. The Soul Fire is no ordinary Mysterious Flame. The power of the Ice-Blue Devil Flame can only allow you to exert the Soul Fire's power to this extent. If you wish to improve, you'll need more Mysterious Flames to suppress the Soul Fire. The higher the Mysterious Flame's Tier, the better. However, Tier 2 is the bare minimum," Sharlyn explained. "I need more Mysterious Flames to improve?" Shi Feng was immediately rendered speechless. Mysterious Flames were not Bronze Equipment. They were far from easy to obtain. There were indeed many Mysterious Flames located within Star-Moon Kingdom. There were even several just within the region of White River City. However, the Ice-Blue Devil Flame was the only Tier 2 Mysterious Flame Shi Feng knew the whereabouts of. He had no clue where to find the other Tier 2 Mysterious Flames. Although Shi Feng knew of the whereabouts of a Tier 3 Mysterious Flame, that place was a secret location. Moreover, it was not somewhere a player of his current standard could go to at all. At the very least, he needed to reach Level 60 or 70, as well as achieve his Tier 2 cla.s.s, to obtain that Tier 3 flame. With just 54 days, accomplishing such a feat was simply impossible. It seems I'll have to have Aqua notify the Guild members to gather information on a few Mysterious Flames as soon as possible, Shi Feng thought to himself. A Legendary Quest was no laughing matter. Shi Feng also did not think he was capable of finding the traces of that mysterious youth in his current state. The mysterious youth's strength exceeded Tier 5. Moreover, seeing as the quest provided him with a way to extend its duration, this indicated that this quest was not one he could currently complete. Just the difficulty of locating and obtaining a Tier 2 Mysterious Flame was no lower than an Epic Quest's. Based on the statistics players had collected on G.o.d's Domain in his previous life, an Epic Quest took anywhere from a few days to one or two months to complete. For Legendary Quests, however, players could take anywhere from two or three months to even three or five years to complete. The system's main goal right now was to have him delay for time. If he could not locate a sufficient number of Mysterious Flames and failed to delay for enough time, it would be equivalent to him failing the quest. In the end, he would become someone's puppet. At that time, his only option would be to delete his account and start all over again. This was the frightening aspect of Legendary Quests. It was not something an Epic Quest could possibly compare to. 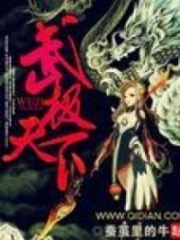 Following which, Shi Feng shook the thought of the Legendary Quest out of his mind and calmed himself. He then began testing out the power of the Soul Fire. In the next moment, a silver flame appeared in each of Shi Feng's dark pupils. The feeling he gave off also changed abruptly. Previously, when Shi Feng intentionally hid his aura, he appeared to be as calm as the great ocean. When he was not hiding it, the feeling he gave others was like an unsheathed sword, sharp and domineering. Now, however, even though he had made no attempt to draw in his aura, he had an air about him that was similar to an iceberg's, silent and cold. One would shiver inadvertently when bathed in this aura. Not a hint of emotion could be found within Shi Feng's eyes. There was only cold rationality present. It was as if nothing in the world could affect his composure right now. Is this the power of the Soul Fire? Shock filled Shi Feng's heart as he observed his surroundings. Previously, when he activated the Ice-Blue Devil Flame, the Mysterious Flame only increased the damage of his fire- and ice-type Skills. However, when he activated the Soul Fire, although he did not receive any improvements to his damage or Attributes, his mind felt calm like never before, to the extent that he even found it frightening. Currently, everything in the world was just like data to him. Aside from absolute calm, the world before Shi Feng had also become silver and white. He could see no other color through his eyes. Meanwhile, in this world of silver and white, he could see the Soul Chain wrapped around his body very clearly. He could also see it extending out of the hall and beyond. Just as Shi Feng was thinking of testing this newfound power of his, the sound of a system announcement entered his ears. System Announcement: A new expansion pack, "Abyss Invasion," has been triggered. The Twin Towers Kingdom has been a.s.saulted by the Abyss, and abyssal monsters have begun invading the surrounding countries. When the time comes, players can partic.i.p.ate in the Abyss War. After acc.u.mulating a sufficient amount of Merit, players can cla.s.s-change into a new cla.s.s. You're Read Reincarnation Of The Strongest Sword God Chapter 857 - New Class online at NovelOnlineFull.com. You can use the follow function to bookmark your favorite novel ( Only for registered users ). If you find any errors ( can't read,broken links, can't load photos, etc.. ), Please let us know so we can fix it as soon as possible. And when you start a conversation or debate about a certain topic with other people, please do not offend them just because you don't like their opinions. Current Time is 19-Apr-2019 00:35:55 AM.